Tuesday, February 19, 2019, 1:00 p.m. to 5:00 p.m. The university experience we have today, won’t be the university experience of tomorrow. Are your children going to attend a post-secondary institution in the next decade? Do you have opinions about the current state of education? Do you have ideas on what we could improve for future generations? Here’s your chance to be heard! We are looking for alumni and members of the community to join with students, faculty, and staff at the Telfer School of Management to share your stories and envision the future of the University of Ottawa. 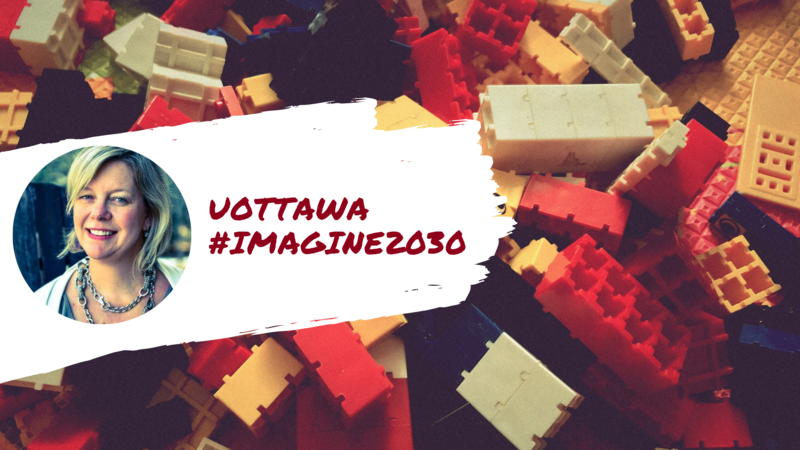 Chrystia Chudczak, Chief Design Officer at the University of Ottawa will be conducting an interactive session to design and create the future strategy of the University of Ottawa. Join us for a fun afternoon and help us make an impact on the University’s future on February 19th, 2019 in Desmarais room 4101, from 1 pm until 4 pm, followed by a short reception with complimentary food. Please contact us by February 15 if you have any particular accessibility requirements or dietary restrictions. Monday, February 18, 2019, 1:00 p.m.
* More on Imagine 2030. Please note that photos will be taken during this event. If you do not wish to be featured in these pictures, please let the organizer know.